Back on September 5, I posted a photo of a Geranium from my archives. Today’s photo is (yes) another Geranium, but this photo was taken today and my next entry in Becky’s ‘In the Pink’ Square in September photo challenge. Also known as Cranesbills, Geraniums are a genus of flowering plants that belong to the Geraniaceae family. 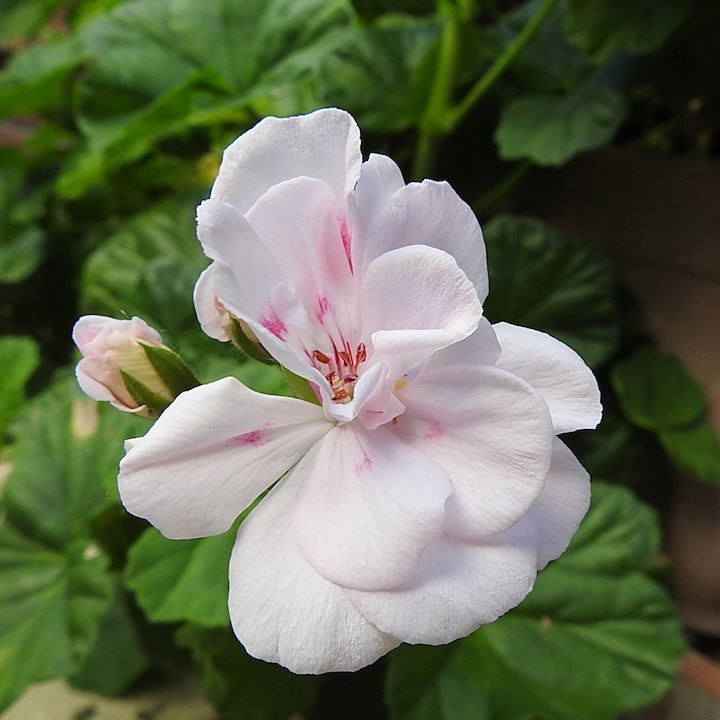 They can be annuals, biennials, or perennials, but the flowers I’ve always known as Geraniums are actually cultivars of a plant called Pelargonium. But it’s not entirely my fault. The name Pelargonium was first proposed in 1732, then formally introduced by in 1738. Carl Linnaeus however, who first formally described these plants in 1753, did not recognise Pelargonium and (to cut a long story short), the name has stuck with gardeners ever since. I always called them Geraniums. The beautiful flowers vary greatly in shape, some even look like azaleas with their frilly petals, and others can look like pansies. Their colours vary almost as much as their shape and can be white, pink, purple, red, dark reddish-black and orange and even their petals can be a combination of more than one colour. The foliage is often quite fragrant when crushed and I have one that is rose scented. I’ve never seen a flower on this one, but the delightful fragrance that emanates from its leaves can be intoxicating at times. So, how do we tell these two plants apart? A need for cooler climates. Succulent, thick stems that hold moisture to enable them to withstand drought. It’s this water-wise property of the Pelargonium that has made it a very popular plant in Australia. During long periods of low rainfall, when local councils impose watering restrictions, it’s nice to have plants that store their own water supply and continue to look vibrant and healthy and throwing out masses of blooms to brighten the garden. I love these plants. They are so beautiful when flowering. What a gorgeous specimen, and thank you for enlightening me on the difference. 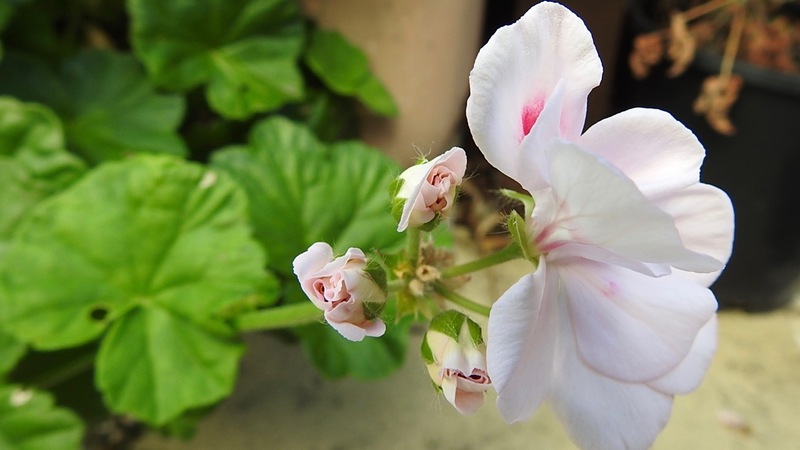 I have always wondered, especially as like you I have tended to call them all geraniums too, even though I have known some were definitely pelargoniums! I think it’s a case of “. . .a rose by any other name would smell a sweet’, and I shall always call them Geraniums. Pretty and delicate like apple blossom. I really like pelargoniums!